Abbeydorney beat Ballyheigue in Round 2b of the County Snr. Hrl championship in ASP yesterday.To use the old saying “this was a game of two halves” would be a good description of the game in general or to be precise for 25 minutes of the first half the Black and Amber did play some lovely hurling, wonderful points from play, two great goals, the first from Niall O Mahony and the second, a lovely piece of opportunism shown by Nigel Roche and Ronan Donavan who crashed the ball to the Seasiders net. Then the Black and Amber boys fell asleep and allowed Ballyheigue back into the game. Half time read Abbeydorney 2.8 Ballyheigue 0.4. Ballyheigue outscored Abbeydorney 0.9 to 0.5 in the second half and only for the cross bar stopping a certain goal with 8 minutes to go and Ballyheigue pucking ten wides there could have been a different result to this game. 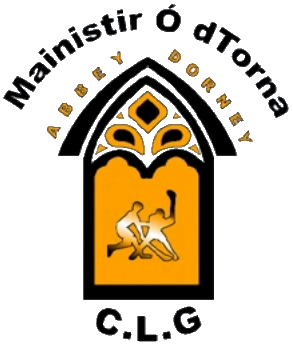 The Black and Amber march on and having already played Ballyduff Abbeydorney can plan ahead to playing any one of 4 clubs Crotta O Neills, Causeway, Kilmoyley or St.Brendans pending results of these games. Nigel Roche again led the scoring for Abbeydorney with 9 points (8 frees) James O Connor hit 3 from play,Daniel O Leary 1 from play with goals from Niall O Mahony and Ronan Donovan. Ballyheigue’s Phillp Lucid scored 7 points ( 4 frees) Diarmaid Walsh 2 points, Pa Regan 1 point, Adrian Flahive 1 point, Jason Griffin 1 point and Colin Mahony 1 point from a long distance free. Just as an aside why cannot the referee as per programme not appear on the day?